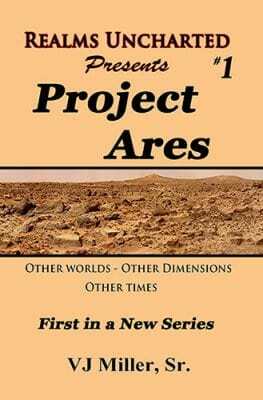 Project Ares takes place in an alternate reality, one similar to our own on an Earth much like ours but with its own unique differences. Science has postulated the existence of other dimensions – worlds existing in another plain: vibrating at another frequency, sharing the same space, each invisible to the other, having similar timelines but with slightly different results. The laws of physics and the periodic table are exactly the same in each reality, while alloys could and will have different menus. Each inhabitant of this multiverse has a doppelganger who is his/her twin though birth dates and environment could lead to drastic differences in the direction each person’s life eventually takes. This is one of those times. It’s the story of NASA’s first expedition to Mars; an expedition that would never have taken place so soon were it not for a mysterious little man, Artur Jonas who seems to know a lot more than he lets on. Who he is and why he does what he has to, will be made clear once the expedition is on the surface of the Red Planet and the ulterior motives he has in store for its members.